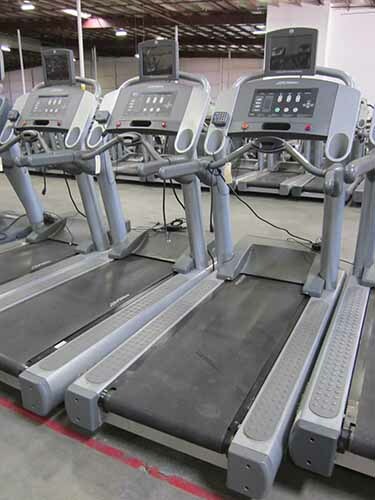 This treadmill comes with a 4.0 HP AC motor with MagnaDrive™ motor controller that is capable of up to 10mph and 15% incline. This treadmill comes with a 26 character 7 segmented red LED alphanumeric message center that shows runners their Elapsed Time, Speed, Distance, Incline, Calories, Heart Rate, and Distance Climbed. Other features include a reading rack to place magazines, an accessory tray to hold sports bottles, personal stereo holder for stereos, Tubular steel ergo bar to keep users balanced, and a Polar® Telemetry (chest strap required) and Lifepulse™ Digital Heart Rate Monitoring with DSP (Digital Signal Processing) for a better heart rate workout.